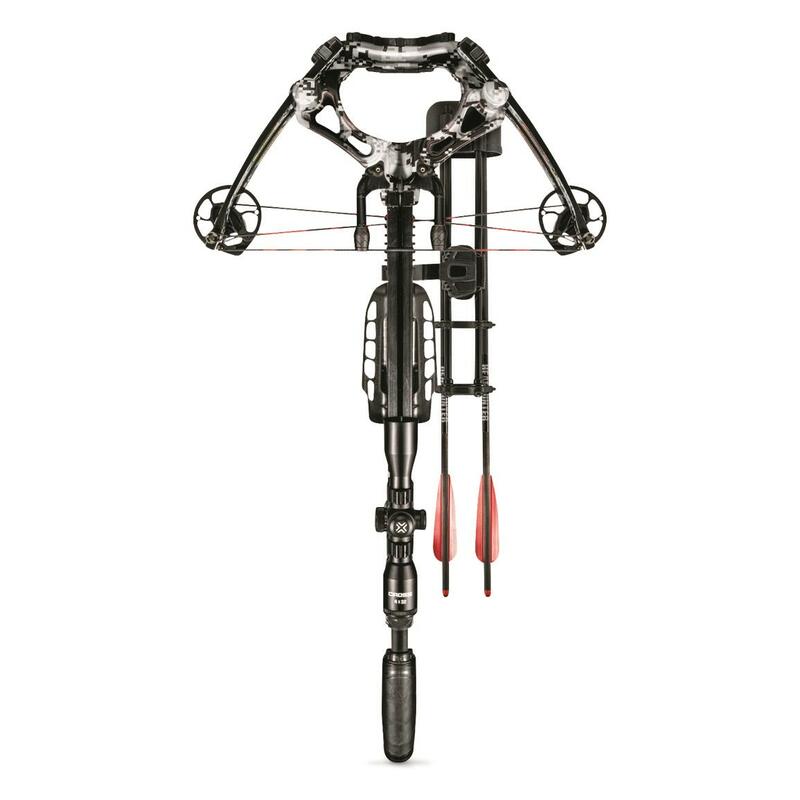 The Barnett TS390 Crossbow Package features a 185-lb. 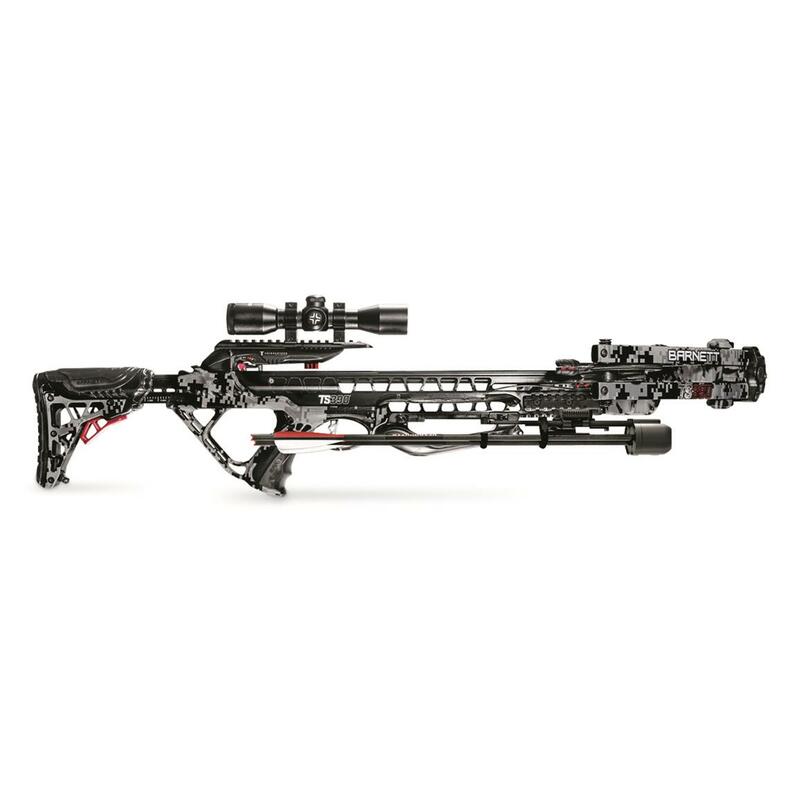 draw weight and 14.25" power stroke that zings bolts downrange at 390 FPS with maximum accuracy. 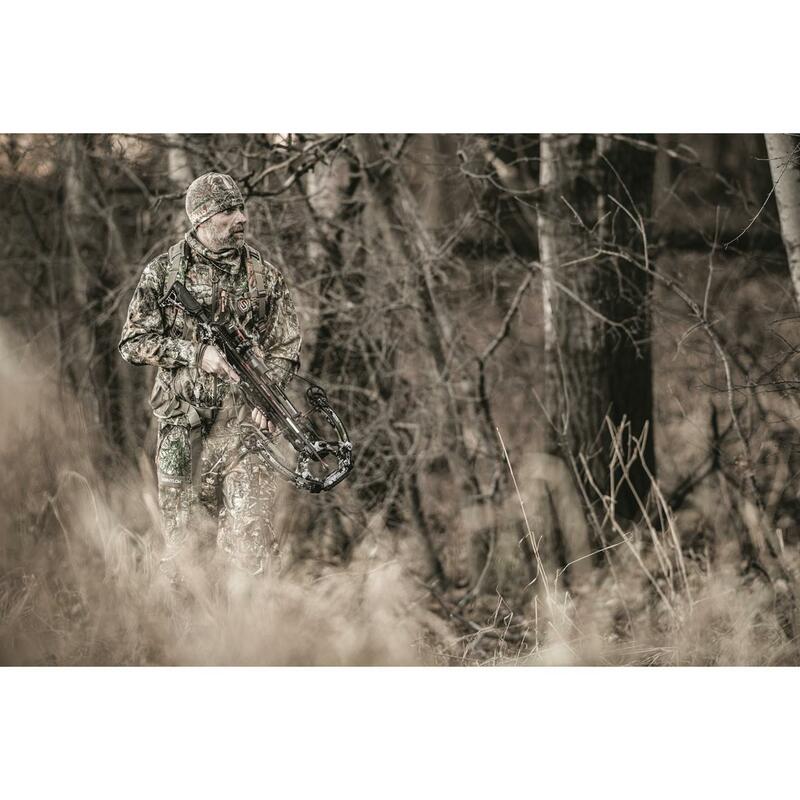 Other quality features include an adjustable buttstock, smooth-firing TriggerTechTM trigger, and three Picatinny rails for adding accessories. 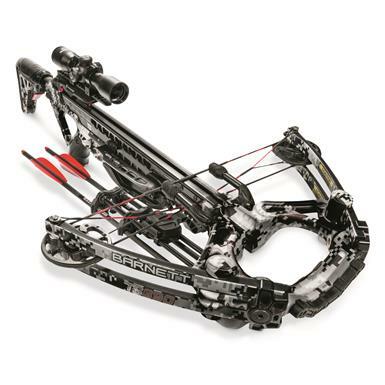 Axle to Axle (Cocked/Uncocked): 15.75" / 18.6"
Barnett TS390 Crossbow Package is rated 4.0 out of 5 by 1. Rated 4 out of 5 by Don B from Great value! 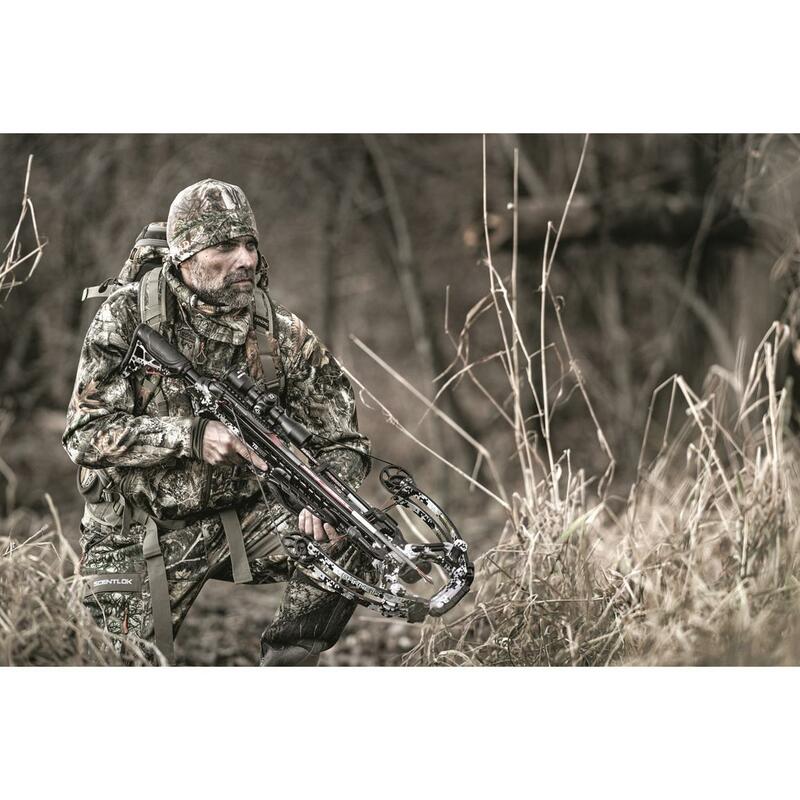 If you like a crossbow that feels like a rifle this is it. The adjustable stock functions great. I’m 60 years old and cocking was no issue. Had to shorten the cocking rope even at six feet tall. The bows trigger is better than my Excalibur’s assassin. The first scope dot is good for 20 and 30 slight hold over. The second for 40 and third at 50 yards. Using a 20 inch Beman white out bolt and 125 grain point. The bad news is the quiver is cheep construction and the quick release button broke right away.